The foundation stones of this new chapel were laid on the 21st April 1862 and it opened for worship on Tuesday 10th March 1863, exactly 53 years after their original chapel was opened. It has its own burial ground attached. The congregation paid off the debt on the chapel building on 21 May 1867. 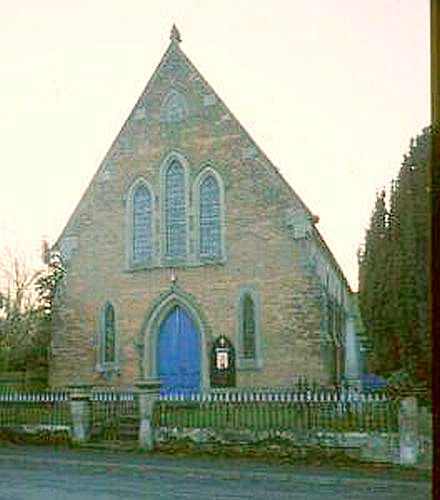 The chapel was still in use in 2001, but by 2016 had closed and was put up for sale. The first Congregational chapel built in Prees was opened on the 10th March 1810. The Chapel, newly erected in Mill Street, was licensed at the county quarter sessions in July 1809. It had seating for about 160 worshippers. On Census Sunday in 1851 there were 104 worshippers at their morning service and 312 at their evening service (as it was a special service the attendance at the evening service was much larger than usual).